As part of financial literacy month I thought I’d propose a few changes I feel are necessary to some Canadian financial accounts. Let me know what you think about my proposals in a comment below! When you put money into an RRSP, you get a receipt proving how much that contribution is. So, with that contribution you can reduce your taxable income. This makes this account almost the perfect retirement choice to save money and grow money tax-deferred until you take the money out. Remember though, you do have to pay taxes on money withdrawn from this account. While you can borrow money from this account to help with a home purchase or some education, there are payback requirements for those choices. I like to think of this account as a Tax Deferred Retirement Account (TDRA). This account was designed as a savings plan for your child’s post-secondary education and while most RESPs are opened for children, you can open an RESP for yourself. There is no taxation on investment earnings inside the RESP and like other registered accounts there are contribution limits. Unfortunately account contributions are not tax deductible but this also means you can withdraw contributions or have payments from this account tax-free. There are also requirements when this account must be collapsed. For the most part, I see this is as a Tax Free Education Account (TFEA). This account was established to help parents (and others) save for the long-term financial security of a disabled person under the disability tax credit. The main idea is, the plan holder opens and manages the account for the beneficiary. While there is no annual limit on account contributions there is a lifetime contribution limit. Contributions to this account also have an age limit. Contributions are not tax deductible but savings inside the account grow tax free. Let’s remove the term disability and instead call this a Tax Free Beneficiary Account (TFBA). When you put money into a TFSA, you do not get any receipt proving how much you’ve contributed (unlike an RRSP). This means you contribute to this account using after-tax dollars. While this sounds bad (because you’ve paid taxes on the monies contributed to this account) the major upside is investments inside the TFSA grow tax free. 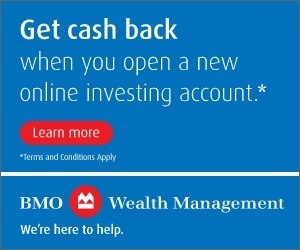 You do not have to pay taxes on money withdrawn from this account either and monies withdrawn from this account are not subject to income-tested government programs like the Canada Pension Plan. I prefer to think of this account as a (dream) Tax Free Retirement Account (TFRA) and I’ve been using as such pretty much since Day 1. Sorry banks, but earning 1.3% today is not a high interest savings account. Please come back and inform us when interest rates earned in savings accounts are at least 4%. What do you think of my account name changes? Do you disagree with them and why? 31 Responses to "Name Changes Needed to Canadian Financial Accounts"
I still need to learn lots Jason. There are many options, you are correct, but if you want to save and invest smartly, the options are ironically rather limited. Make money, pay yourself first, save, invest mostly in indexed products, and stick to your investment plan. Do the same month after month after month. Relatively simple but difficult for many of us to do consistently. 1) I agree TFSA desperately needs a name change, but would prefer “Tax Free Investment Account”. Two reasons. First, far too many people still do not understand that a TFSA can house equities, bonds and other non-cash investments, and instead think it is limited to cash. I think having “Investment” replace “Savings” would assist in addressing this problem. Second, while I agree a TFSA is a wonderful retirement vehicle, it is not limited to that purpose. My fear is that by attaching “Retirement” to the name you might dissuade younger people from investing in it, as often they see retirement as someting in the distant future they can worry about later. Not suggesting this is the correct perspective, but certainly a prevalent one. 2) Although I like your rationale for removing “Registered” from the names of various accounts, I can forsee some issues with doing so. For example, the tax-treaty with the U.S. concerning diviidend withhholding taxes applies only to registered accounts (and hence the exemption does apply to a TFSA). Removing “Registered” from the name may cause confusion not only for the investors in terms of whether the exemption applies, but also for our dear friends in the IRS!! Just my thoughts, but you have definitely provided food for thought. Thanks for your detailed comments. Regarding the TFSA, while “Investment” could be solid replacement, I think the “Retirement” word in the title pushes the issue that much further. On top of that, we (working Canadians) don’t save enough for retirement. Let’s put the focus on that end-game. I respectfully disagree with your name chance for the TFSA — though I agree Canadians need to save more for retirement! However, Canadians also need emergency funds — which is what I use a portion of my TFSA for. I worry that focussing on only one goal in the name would dissuade people from other important savings goals. I really do think “savings account” is a misnomer. You know there’s a name problem when so many financial lit articles have to point out you can use other investment vehicles too! While emergency funds are great (we have one as well, although not as much as we would like), I think more Canadians would benefit from using the TFSA for retirement planning than short-term or emergency fund savings. I totally agree with you, the “savings account” part is a misnomer. Hard to argue with the need to change these accounts. It really frightens me how financially illiterate the general population is. 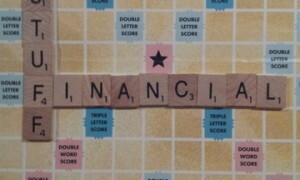 There seems to be this general malaise as far as taking responsibility for your financial future. Changing these names may help the ignorant, but it won’t help with, what I feel are the majority, the people who simply do not think about their future. In fact, one of the biggest risks to my and your retirement plans is that the majority that have not saved could vote to expropriate from those that have via punitive taxation. Thanks for the comment Matt. I agree with your general malaise angle, and likely changing any account names are immaterial to the real issues Canadians have: taking on too much debt/mortgage, not saving enough or often enough and not planning for their retirement appropriately using low-cost, diversified products. Thanks for the comment Matt. I agree with your general malaise angle, and likely changing any account names are immaterial to the real issues Canadians have: taking on too much debt/mortgage, not saving enough or often enough and planning for their retirement appropriately using low-cost, diversified products. I have to disagree re the RDSP account though. I am a blind adult, setup to, contribute to and manage my RDSP investments on my own. Though true a third party can contribute to an RDSP and many family choose to run it that way, that is not required. Also, unless mentally incompitent, the account is opened by and in the name of the beneficiary. Thanks for your comment. Regarding the RDSP, you are absolutely right that you can be the beneficiary as well as the plan holder, I didn’t cover that specifically. I appreciate the clarification. I thought that investment earnings in the RESP were taxable in the name of the student, although the taxes are deferred until the earnings are withdrawn. As far as I know Justin, there is no tax on the investment earnings inside the RESP, as long as they stay in the plan. The tax shift (as “B” pointed out in the comment above) occurs when the student includes the EAPs as income on his or her return for the year the student receives them. For the RESP, I would propose the name “Tax Shifted Education Account (TSEA)” since EAP and AIP are taxed, but in the hands of the beneficiary (which is usually in a low tax bracket and has some really nice tuition deductions). Thanks for the comments B.
I should clarify, the contributions to the RESP are not tax deductible, so you can withdraw them tax free from the plan at any time for any reason. The educational assistance payment (EAP) is the amount paid to a beneficiary (a student) from an RESP, yes, and you’re right, the tax is shifted from “contributor” to student – since the student includes the EAPs as income on his or her return for the year the student receives them. Very create names you came up with there Mark! I chuckled quite hard at a few of them. I really like Tax Deferred Retirement Account instead of RRSP the best I think though. Changing that one name would avoid a lot of confusion for many folks! I think the government needs to put you on their product/program naming committee. Thanks Brian! Yes, let the renaming process begin! Good ideas for name changes. Many people don’t use their TFSAs as retirement accounts (which is too bad, because that’s what they should be used for). I especially like the TDRA idea (the first one). It’s a much more straight forward title for the account. Thanks Daisy! Not touching the TFSA will take some discipline, but I think it’s a great retirement account. I wonder if others will eventually treat this account this way? Thanks Mark–you started a great conversation here! I have often found that Canadian investors were TFSAs. I agree with renaming the TFSA , too many use it for interest accounts at 0.5%. Have also seen people do things like save for property tax or a vacation , put money in and out too many times , confuse themselves, over contribute and get in a tangle with CRA. I fully support the suggestions and logic of the name changes. The minor exception for me is TFSA… I don’t consider it only as a “retirement” account. I am “retired” and still contribute to the fullest extent allowable. 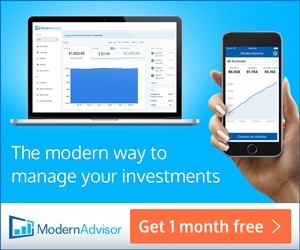 I consider and promote these accounts as “investment” accounts (TFIAs). My strategy is to use savings from pension income and top up with RIF payments. Fair point Curt. I was certainly looking at this account for my asset accumulation years and not my asset preservation years but I can see this account being excellent to contribute to in retirement; move some RRSP withdrawals to the TFSA and use the tax-free dividends paid inside the TFSA for expenses. Thanks for the comment. 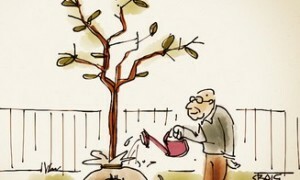 RRSP’s may be tax deferred but the money does indeed grows tax-free. By saying that the entire thing is tax-deferred ignores the fact that the contributor received an initial tax refund, which could have been used to fund the RRSP further. Point I’m trying to make is that the money in RRSP actually does indeed grows tax-free, even though the “government portion” (which is the initial and all/any subsequent refunds) is something you have to give back along with the growth. I guess that is what I’m trying to imply with that tax deferred statement: the investments inside the account avoid any tax consequences now because investors technically get the government loan with their RRSP-generated refund AND tax deferred also means the investments are free from tax because you are deferring the tax consequences until a future period. OK, cool… Love your blog. Keep up the work! Will do and thanks for reading!